Our mission is to make the healthiest, most sustainable fuel for vehicles in the world. Join us! We live and work here. We are working to better the health of our region's economy, air, and fuel. Sustainable, cost-effective, and available now. Are you frying at home and don't know what to do with that container of left over oil? Don't dump it! Bring it to 107 Braddock Ave 15104 and leave it behind our fuel station. We will pick it up, filter it, and put it into the number of vehicles that use waste vegetable oil as fuel. Our public station offers high and low biodiesel blends from two different pumps. The self-serve station has 24 hour access and is operated through an access card that tracks the time and quantity of purchase. Perfect for fleet filling! 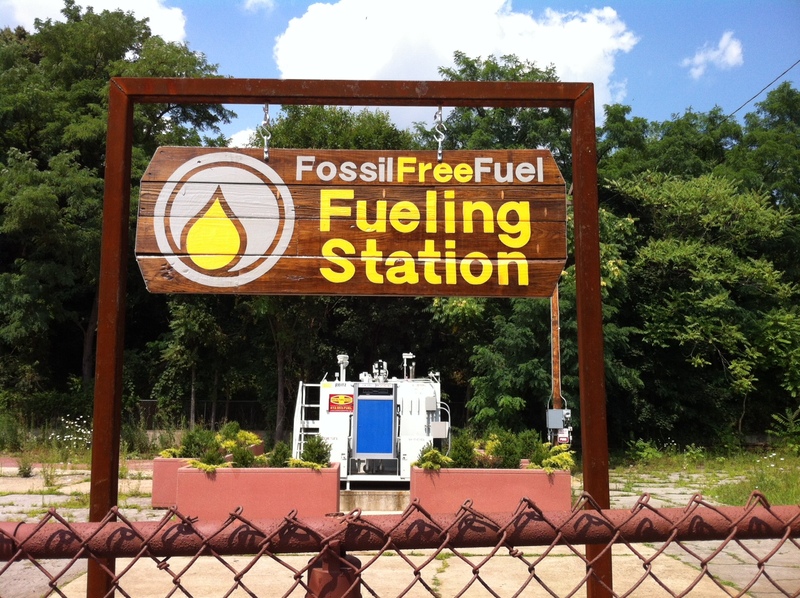 Contact us through email station@fossilfreefuel.com or call 412.447.8488 for more information, fueling cards, and pricing! An educational video about what we do! Need a pickup? Have a question? Send us a message!